From diagnosis to treatment, our team of Skin Cancer specialists utilize the latest technology and treatment protocols with a continued goal of positive outcomes and quality of life of each and every patient. Thank you for entrusting your patient into our care. West Cancer Center is positioned as the region’s comprehensive leader in adult cancer care and research. Our team at West Cancer Center offers unparalleled  Skin Cancer treatment for patients across the Mid-South– collaborating with West’s leaders in medical oncology, radiation therapy, and research to provide your patients with the most individualized care possible. Melanoma is the serious form of skin cancer that develops in the cells that produce melanin (the pigment that gives the skin color) Knowing the warning signs and seeking treatment early can provide successful results and help prevent spread to other parts of the body. These are rare forms of cancer that can occur anywhere on the body, but are usually on the skin of the head and neck, and form in the lining of the lymph or blood vessels. Long-term exposure to sunlight is considered to be the cause of most basal cell carcinomas that begin in the basal cells, a type of skin cell that replaces old ones that have died off with new ones. This rare form of skin cancer begins in the B-cells, a type of white blood cell whose role is to fight disease. These rare forms of cancer are a type of non-Hodgkin lymphoma that begins in the white blood cells and attack the skin. 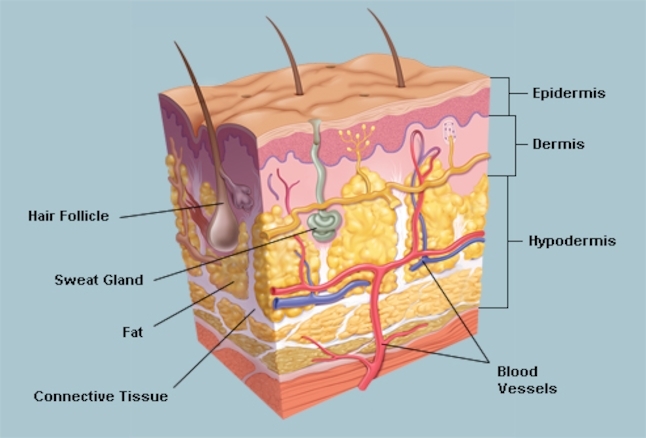 This rare, slow growing skin cancer begins in connective tissue cells in the middle layer of the skin and rarely spreads beyond the skin. These bluish-red or flesh colored cancers are another rare form that usually develop in older people with a weak immune system and/or long term exposure to sunlight. They are usually on the face, head, and neck and can grow fast and spread to other parts of the body. The eyelid is usually the area these cancers appear and begin in the oil glands but can spread to other parts of the body and may be difficult to treat, even after surgical removal. While usually not life-threatening, this is the most common form of skin cancer that results from long-term exposure to UV radiation from the sun or tanning beds. These cancers form on the squamous cells located in the outer or middle layer of skin and if untreated can spread and cause serious complications. Incisional Biopsy: Removal and analysis of the most irregular part of the mole or growth. Punch Biopsy: A circular tool is used to remove a round piece of skin around the mole or growth. Skin Cancer Screenings: Periodic skin exams by a physician, plus self-exams can help detect melanoma early. Uses powerful drugs specifically designed to destroy the skin cancer cells that are dividing rapidly. These drugs may be given before or during radiation to improve outcome and care. You patient may be a candidate for a clinical trial. Designed to stimulate the activity and growth of immune cells. Using versions of harmful viruses to trick the immune system to attach cancer cells. A radioactive fluid is injected near the site of the cancer and scanned to create a map of the lymphatic system to identify the sentinel node as a guide for a sentinel node biopsy. These laboratory-produced drugs are designed to work with the body’s immune system to fight the cancer-melanoma by acting as substitute antibodies to enhance, restore or mimic the immune system. This procedure removes the sentinel nodes, the first place the cancer is likely to spread. One of our surgical oncologists will surgically remove the melanoma with varying degrees of margin depending on the stage. The goal of these drugs is to shut down the mutated molecules to reduce the growth and spread of melanoma cells without harming the healthy cells. Click here if you would like to refer a patient to West Cancer Center. At West Cancer Center, our patients have advanced access to the therapies of tomorrow – today.